This weekend only, everyone can enjoy flying around the world in Towns! A town hall was hosted this past week on the Meepcraft Reddit in which the staff team answered the most asked questions submitted by you! See the Reddit page linked below for more. The Mystical Olympics continue with the ongoing fishing tournament! See @AdrianBFaust for more! Thanks to @Sooopa for hosting a giveaway of a code for Destiny! Ever wanted to create a custom artwork to frame on your wall? Participate now in trdavis25’s map art competition found here. With the revival of MeepCraft’s social media accounts, it has been decided to have an Ask Me Anything / Townhall discussion on Meep’s Reddit page. Find the information about the date and time here. After a long anticipated return, voting has been fixed! Corrections to the Halo Spawn have been patched up. The Mystical Nation has been putting on their very own Olympics! Information about the 1v1 Duels can be found Here. Information about the 3v3 Halo tournament can be found Here. Information about the Ice Boat Races can be found Here. Did you happen to see Cooleys and Fuzzlr dressed up for the Spring Event? Don’t miss out a chance to ‘hop’ on over and see them at /warp easter. Thank you @PixelPooter for the picture enjoy your 5,000! @Achrow is back with another contest! Check it out here! MaestroLC and _RCHT_ will be hosting many competitions for games. Keep an eye out for them in game and on their thread here! Nothing to report at this time! An error with people getting stuck in Halo was fixed. You can no longer use disguises in the Halo world. The maps for Halo have been updated! Enjoy revamped construction, smoother gameplay, and fewer spawn camping spots! A new map has also been added to free for all. A new Halo spawn has been added! See the Project for more. The Administrator statues in Spawn have been updated! If you haven’t already noticed, we’ve updated the discord with some new channels! This includes operation-meep, which allows you to see progress made on Trello projects, as well as the trade channel! If you haven’t seen them, check them out! 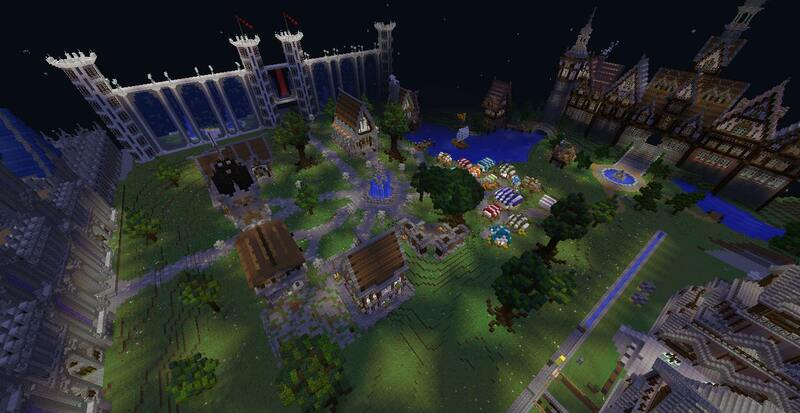 The new /warp towns is in full swing! Ever wanted to make your own pwarp, but never had the money? Well now you can win one! Simply build a location for a pwarp, and enter it in to be judged by @Kling, and you may just win a pwarp! See here for details. Test your mettle and skills by beating a time in parkour! See thread for details. The area you first appear in the towns world at has been updated! See the Project for details about this. It has been over two years since Meeptimes began! In that time, countless writers have contributed to not only keep it going, but continually expanding its content and interest. In twenty-five months, there have been fifty editions of the Meeptimes, with an average word count of one thousand, six hundred words! For the more statistical readers, there are approximately 77,982 words in the previous forty-nine editions, made up of 438,216 characters. We skipped the previous edition due to not much changing.